In this seminar, we will have a closer look behind the scenes of a theatre with a strong focus on an environmental management approach. Life-cycle-analyses are one of the major topics, including background information and practical examples of their application in theatres. 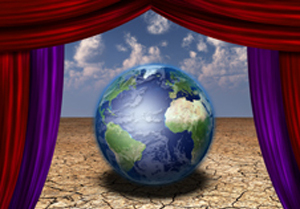 Doing (environmentally) good in a theatre is important but it helps (the theatre world) even more to talk about it! Environmental reporting being the tool of choice, we will scrutinize it for application in a theatre environment. Environmental Management Approaches in the Theatre – from Life-Cycle-Analysis to Reporting with Dr. Annett Baumast « World Stage Design 2013 World Stage Design 2013.